Been Playing 12 Years. 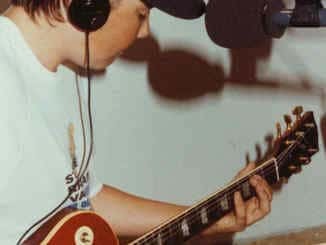 First started playing as all my friends were starting to learn and I started getting into “better” music in my teens. My mum had an old acoustic lying around and that was the beginning of it. That’s a tough one! There are so many guitarists that influenced me at different stages of playing. I started off a metal head playing electric and listening to Metallica, Pantera & Iron Maiden etc. Then moved on to the classic Paul Gilbert, Steve Vai, Joe Satriani, now I prefer progressive guitarists like Mikael Akerfeldt and John Petrucci etc. As far as electrics I’ve always been a sucker for a PRS custom 24. Acoustics always change depending on my mood! Optional question: How would you describe your sound in food form and why? Think of it as your classic “meat and three vege” but with a twist… it’s a dessert… there’s no savoury there but it looks exactly like that classic meal, It’s just disguised! Most people like sweet things and I feel our music is just that. It’s your classic rock and metal riffs but dressed in acoustic tones and style to make more digestible music for a wider audience. When we recorded our debut album last year we were trying to get a big stomp box sound. 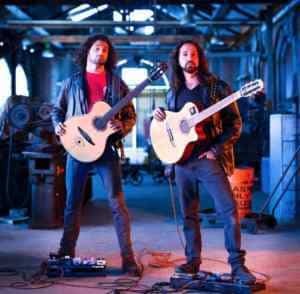 The engineer told us to slap a big djembe and a Jumbo Gibson Acoustic for a fat sound… we found out later the acoustic we were slapping was a $12K guitar… oops! I think listening to different types of music and going to live shows is always inspiring. There’s a different feeling and atmosphere you get when listening and watching a performer in the moment rather than sitting at home on youtube etc. First one that comes to mind is Trivium’s intro riff to “In Waves”… it’s just so brutal! Give me all of the guitars please… and throw in one of every pedal… it would have to be something that sounded and felt great to play and unfortunately I haven’t tried everything so not sure what my dream setup is! Opal Ocean is planning a small release at the end of the year and hope to be touring Australia and Europe next year! That we’re part of it! And I think it’s the fact the show is for people who love guitars and ends up being just a great mix of players and guitar enthusiasts. Apart form the love of progressive music, Opal Ocean spends a lot of time eating, cooking and enjoying food! After a long day of busking and performing we generally go home to cook a huge feed and love our food! 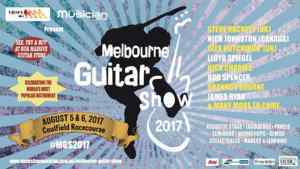 It was big in 2015, huge in 2016, and today the Australian Music Association has announced the 2017 return of the Melbourne Guitar Show to rock Caulfield Racecourse on August 5 and 6 – and this year, it’ll be bigger than ever. Proudly presented by Triple M and Australian Musician, the line-up boasts not only an incredible haul of local guitarists, but also massive international artists – UK’s legendary Steve Hackett (Genesis), Canada’s renowned Nick Johnston and UK superstar Alex Hutchings. 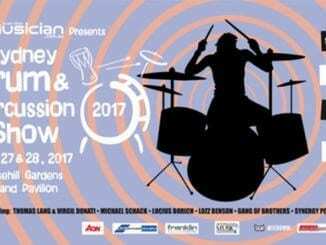 In addition to some killer performances, MGS will also hold a monster exhibition that will feature a gigantic variety of electric and acoustic guitars, effects pedals, amps and more state-of-the-art guitar technology, both home-grown and from around the world. It will continue to be Australia’s biggest guitar pop-up shop…and that’s not all. In addition to this, the Melbourne Guitar Show will host information seminars, demonstrations, and live performances from Australia’s most talented guitarists, including: Lloyd Spiegel, Nick Charles and Bob Spencer with many more to be announced. This year will be extra special as the Melbourne Guitar Show welcomes UK guitar royalty, namely, the original Genesis guitarist and successful solo artist in his own right, Steve Hackett, in a very special premium ticketed event. Hackett will be touring Australia for the very first time with his lavish Genesis Revisited tour, playing classic Genesis prog-rock tunes as well as selected material from his 25 solo albums. For the Melbourne Guitar Show however, in a more eclectic and informal setting, Steve will play an exclusive up close and personal acoustic-based show featuring musical director Roger King on keyboards and woodwind/ brass virtuoso Rob Townshend. This will be the only Australian performance by the Steve Hackett Acoustic Trio. Another star joining the stacked line-up is the Canadian guitar virtuoso Nick Johnston. Known for his catchy, melody-driven instrumental music Nick has been able to carve out his own unique style within a crowded landscape of instrumental guitarists. 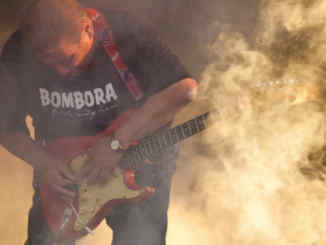 Nick’s playing has attracted sponsorship from massive international brands including Friedman Amps, D’Addario and Schecter Guitars. 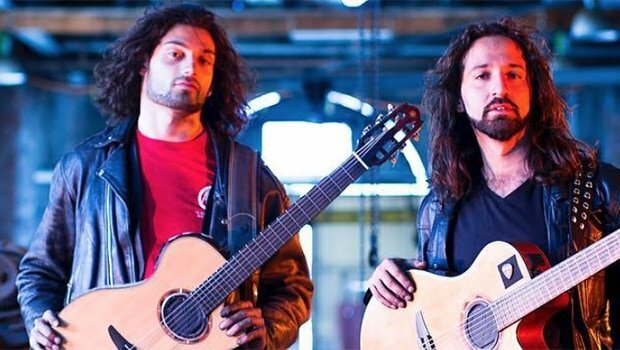 Also on board this year, we welcome world-renowned guitarist Alex Hutchings (UK), a modern fusion guitarist par extraordinaire, lauded by many as one of the finest players in the genre. His international following has exploded in recent years thanks to millions of YouTube views via both his own channel and JamTrackCentral (alongside such contemporaries such as Guthrie Govan, Andy James and Jack Thammerat). Regularly touring around the globe, Alex performs under his own name and as an international demonstrator for BOSS/Roland.